If you're feeling stressed, sore and overtired -- in other words, in need of a massage -- but you're not quite in the mood for a strenuous muscle-kneading session, an aromatherapy massage could be right up your alley. The purpose of an aromatherapy massage is not so much to physically work out all the kinks and sore spots in your body, but to use the restorative properties of essential oils to relax and heal your body and mind. Essential oils are 100 percent natural, highly concentrated plant essences. There are more than 3,000 essential oils out there, each with its own therapeutic qualities. You name the ailment, and there's an essential oil that could relieve it. They're used to treat pain, muscle spasms, stiffness, depression, insomnia, asthma, congestion, hypertension, and the list goes on. 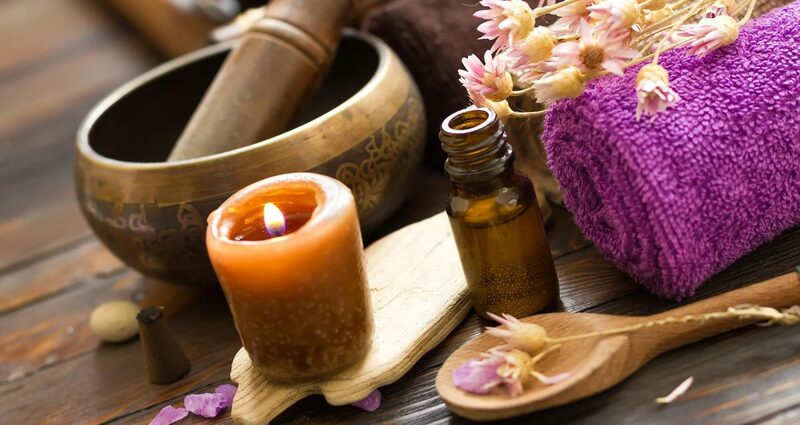 Here's a brief rundown of complaints and the essential oils that just might help them:Other oils can have purifying, calming, aphrodisiac, antibacterial, soothing and even euphoric effects. You might assume that the oils work their magic through contact with your skin during the massage, and that's definitely part of it -- but most of the benefits occur when you inhale their aromas and absorb them through the soft tissues in your nose and mouth. In aromatherapy massages, the actual massage technique doesn't matter so much as the healing benefits of the oils. The desired effect is relaxation, so you're probably not going to find essential oils used in an intense deep-tissue massage.